. - - - - - ABC List of Edo craftsmen　江戸の職人 - - - - - .
. mibun seido 身分制度 status system, Klassensystem . After Tokugawa Ieyasu established his capital in Edo, he invited many skillful craftsmen to come here, build the castle, temples, shrines and mansions of the daimyo Lords in an act to fulfill their "duty to the country" (kuniyaku, kokuyaku 国役). Many official construction works were kuniyaku-bushin 国役普請, many of them comprising flood control works. After the great fires which often hit the growing town, rebuilding was done by the carpenters and craftsmen. One of the major center of craftsmen established by Ieyasu was Kanda 神田, where some street names remain to our day. The craftsmen of Kanda had one passion - the annual Kanda festival. The important supervisors of a guild, tooryoo 棟梁 Toryo had to organize the craftsmen in their districts and report to the Bakufu government.
. Kanda matsuri 神田祭 Kanda Festival - Introduction . One of the great customers of skillful craftsmen were the more than 1000 women living in Ooku　大奥, Oku, the Harem of the Shogun. They bought only the best of everything available. Craftsmen who did not want to be bound too much by the rules of government eventually moved out to other parts of Edo and worked on their own for the neighbourhood.
. oyabun 親分　boss, gang leader, godfather . A boy of about 10 years entered the workshop of an Oyakata to learn the craft, for more than 10 years (dechibooko 丁稚奉公 - a kind of apprenticeship) before he was given work to do by himself. He lived in the house of the Oyakata and took part is the "family life" of the group of workers. He got no money, just free food and lodging at the house. When he had learned all the tricks of the trade and was ready to establish himself, he had to work another one year for free "to show his gratitude" (御礼奉公), before the Oyakata set him free. Despite working hard, most craftsmen earned just enough to get by day by day. The only wealthy ones were the Oyakata. But since there were many fires in Edo, the craftsmen were always necessary to produce new things for the homes and had work enough to live by. They preferred to spend their daily earnings soon in the evening and not put much savings on the side. 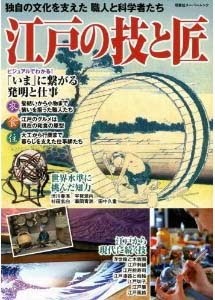 Craftsmen working at home were called ijoku, ishoku 居職. They mostly made the items people used in daily life. They made things when they got an order from a family and made some extra things to sell on the spot or engage a peddler selling them. He could take a price he saw fit for his work, hoping the client would pay, otherwise haggle for a bit. 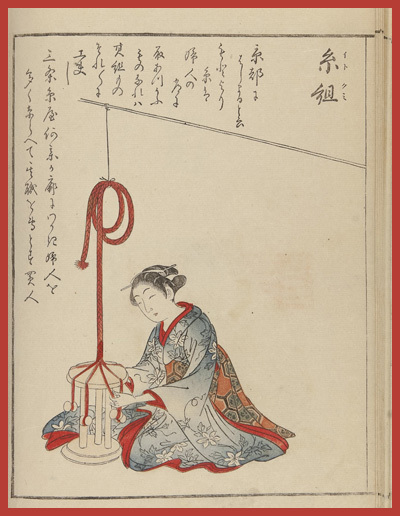 Craftsmen going out to work were called dejoku, deshoku 出職. 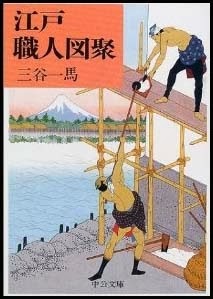 daiku 大工 carpenter, shakan 左官 wall plasterer and tobi 鳶 construction workers. A craftsman making tools and things was often calle called ...shi　師, while the vendor of his products was called ...ya　屋.
. EDO - machi, choo 町 town and village . others have disappeared from the modern map. Kajiyachoo, Kajiyamachi 神田 鍛冶屋町 in Kanda (Chiyoda) .
. Kanda daikuchoo　神田　大工町 carpenter district in Kanda .
. Kijichoo 雉子町 "pheasant district", wood-craft artisans . Konyamachi, district for indigo cloth dyers . The Tokaido is the main highway between Edo and Western Japan. Here in the downtown area of the city, though, it looks like just one more busy city street. As we get closer to the center of town, the streets which cross the Tokaido become broader and the buildings that line the streets become larger and more imposing. Most of the buildings on the main roads are large stores or the homes some of the city's more prosperous merchants. Kyobashi is the general name given to a large area of low-lying land that makes up one of the key commercial districts of Edo. The district occupies the flat land immediately to the West of Edo castle, and is an important center of the city's economy. However, the reason why Kyobashi is such an important part of Edo's economy is that many communities of craftsmen and artisans live in the area. The people who practice each type of craft tend to gather together in certain neighborhoods, and for this reason, many neighborhoods in the Kyobashi area are named after the type of craftsmen who live there. Probably the most famous of these areas is "Ginza", the location of the Shogun's mint. Gin-za takes its name from the silver mints located in a cluster of buildings just to the southeast of the Shogun's castle. The artisans who work in these silver shops belong to one of just three authorized silver mints in the country -- one in Edo, one in Sakai (Osaka) and one on Sado island -- home of the country's most productive gold and silver mines. The area also contains many smaller shops manned by artisans from the same silver guild, who turn out silver jewelry and decorative items. A few minutes walk to the north, also bordering the grounds of Edo castle, is the gold mint or Kin-za, and further away, near the shores of Edo bay, is the Zeni-za, or copper mint. Like the Gin-za, the gold and copper mints are strictly licensed by the Shogun, and only a few exist nationwide. ... the Kyobashi district is the most "middle class" area of the city. While many parts of Edo are either dominated by huge manors of the upper classes or filled with tiny "row houses" of low-skilled workers, Kyobashi is mainly inhabited by small merchants and craftsmen. As you pass from neighborhood to neighborhood, you notice that all the stores facing the street in a given district sell the same type of products: Dyed cloth is sold on one block, iron tools on the next, pots and pans on this street and bookstores on the next. The layout of the city streets is quite complicated. Although the main avenues are fairly broad and straight, in each "block", there are dozens of little alleyways that lead between the major buildings and into courtyards behind the stores. These alleyways are lined by workshops and homes where the craftsmen live. For example, between two of the shops that that sell iron tools is an alleyway, and if you listen carefully, you can hear the clanging of a blacksmith's hammer coming from the courtyard. This neighborhood is home to people who specialise in iron work. On the next block are stores selling oke (wooden buckets and tubs). In the alleyways and courtyards behind these shops, you can see men carving the wooden frames of large tubs, and securing them with strong strips of twine. This is the neighborhood where the okeya (bucketmakers) live. Over here are a group of shops that sell cloth and simple cotton kimono. Let's go down this alleyway and see the neighborhood where the dyers and weavers live. The alley leads into a wide square. This central square is the heart of the weavers' neighborhood. Apart from a few tiny shops selling vegetables, rice and other necessities, most of the buildings that face this central square have workshops on the ground floor and apartments upstairs where the craftsmen and their families live. The entire community is busy at some sort of work related to the district's trade -- dyeing cloth. The central square in the dyer's district is a very colorful place. Some of the older men shout instructions to their apprentices, who are learning how to prepare the cloth and dyes in just the right way, to ensure that the color is vivid and even, yet does not fade too much when washed. All around the area, brightly colored strips of fabric flutter in the light breeze as the cloth is dried and the dyes set. The cloth produced in these workshops around the central square are then sold in the large stores that face the street, or they may be sold to large wholesalers (tonya) and sold in other markets around the region. In some buildings, people are weaving the cloth using large looms. Elsewhere, workers are dyeing the cloth in large wooden vats. Everyone in the neighborhood, men women and children, take part in the work. 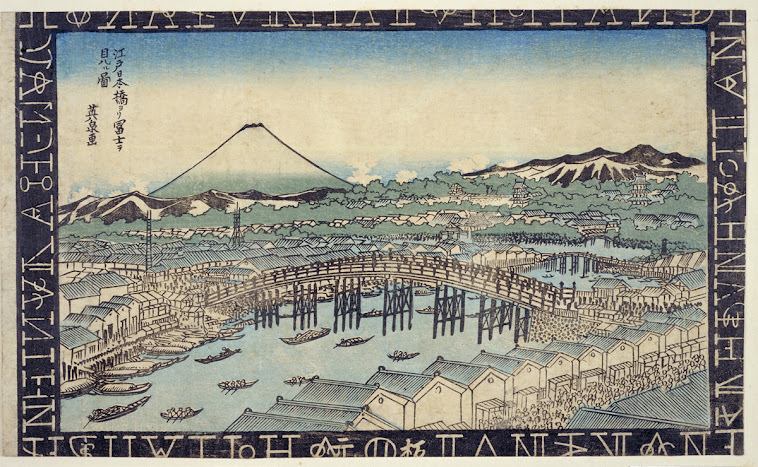 Before the Tokugawa Shoguns set up their capital in Edo, the only people in the area were farmers and warriors. Most of the best craftsmen in Japan are from the area around Kyoto and Osaka, rather than from Edo. For that reason, people from the western part of Japan still look down on "Easterners" as slightly uneducated and not very good at business or crafts. However, the shogun has managed to convince many people to move from their homes in the western part of Japan to these neighborhoods in Edo. Even the artisans who were born in Edo usually have parents or grandparents who came from the West. The craftsmen who live in the Kyobashi area are fairly well off. Officially, craftsmen have about the same status as merchants -- that is to say, they rank lower than either samurai or farmers. However, in practice, skilled craftsman are not only relatively well respected; they can usually make a pretty good living too. This is particularly true of craftsmen who live in large cities like Edo, where the demand for their services is very strong. If you want to visit some of the neighborhoods where the craftsmen work, we will have to leave the main highway for a while. Most of the workshops are in neighborhoods behind the main shopfronts. To get to these neighborhoods, we have to leave the main road and pass down the narrow sidestreets, through large and solid-looking gates. There are gates like these on almost all of the side streets and alleyways in the city. They are part of the security system that people use to guard their neighborhoods at night. Edo has a relatively low crime rate, but in a huge city of over 1 million people there are bound to be some bad characters around. Particularly troublesome are bands of unemployed samurai who dress up in wild outfits and roam the streets at night, brawling with other gangs and accosting merchants or craftsmen who are out late at night. To help keep these troublemakers out of their neighborhoods, most of the city districts are arranged in a similar pattern. The main streets and canals divide the city into large blocks (neighborhoods), known as machi, or cho. To enter one of these neighborhoods, you have to leave the main street and go down one of the side streets or alleys. All of the side streets leading into the neighborhood are guarded by gates, which can be closed at night. This is an effective way to keep out most criminals, drunks and other disreputable characters who might be wandering about late at night. Groups of guards, known as yoriki and ban-nin (sort of like police officers) patrol the main streets at night, making sure that the gates are closed and keeping a lookout for troublemakers. Anyone who is out on the main streets late at night is likely to be stopped and questioned. A person needs to have to have a good reason for being out late at night, and if they act suspicious, the yoriki may take them in for questioning. Meanwhile, in each neighborhood, the citizens take turns working as night watchmen in a sort of "neighborhood watch". The job of the person on duty is to close the gates late at night, and walk around the neighborhood making sure that all is quiet. If someone comes home late at night, they have to knock on the gates and convince the person on guard duty to let them in. Naturally, the guard will only open up if he recognises the person who knocks at the gate. The neighborhood we are entering now is home to a community of potters, and the shops on the main street have row after row of porcelain and pottery lined up on the shelves and tables. Each store offers a range of different types of plates, saucers, mugs, bowls and vases. The center of the potter's district is almost uncomfortably warm. You can feel the heat from the kilns as soon as you enter the square. The huge ovens used to bake the porcelain are set up in the center of the district, and they are tended carefully to ensure that the temperature is kept at just the right level. Around the square, individual craftsmen are shaping clay into different types of products. Every few minutes, someone will carry another large rack of molded pottery over to the kilns to be baked. This neighborhood can be unbearably hot in the summer time, since potters have to work all year round. On the other hand, it isnt such a bad place to visit in the winter. Each of the crafts districts is entirely devoted to producing their specialty products, and each member of the community has a part to play. Most of the people are closely bound together by ties of kinship and community, and all work together to help the entire neighborhood become prosperous. Craftsmen in Japan have to spend ten years working as an apprentice for a "master craftsman" before they can start to work on their own. While they are an apprentice, they will spend the entire day working with their master, watching every move that he makes, and attempting to imitate his skills. Although the crafts tend to hereditary professions, with people passing on their trade from father to son, it is not that uncommon for people to switch to a different craft while they are still very young. In order to take up a different craft, the youngster has to be accepted as an apprentice by one of the "masters" in another craft, but if their parents pull a few strings, this is not too hard to arrange. 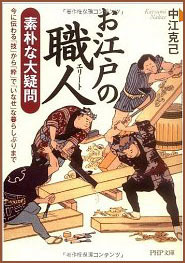 In addition, some low-ranking samurai give up their status as samurai in order to become craftsmen. While this may be a step down in social rank, for the lowest-rank samurai it can often mean a big improvement in wages. All the same, every apprentice starts out at the same level, as a raw student, regardless of their family background, past experience or "connections". People who are extremely talented at a craft -- whether it be pottery, weaving, wood-carving or bucket-making -- can become quite famous. For this reason all of the best young students will compete to try to become the apprentice of a master craftsmen. Master craftsmen only pass on their best techniques to the top apprentices, so when the apprentices get older they often boast about being the "former student" of some famous craftsman. 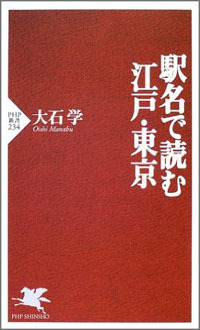 "Officially", craftsmen belong to a lower class than farmers or samurai, and only a shade above merchants. However, the best craftsmen are often granted honorary ranks of nobility, including the right to wear a sword and take a surname. Originally, only samurai and nobles from the Imperial court had two names, but nowadays, many of the leading craftsmen and merchant families also have been granted "honorary" second names as a reward for some service to the Shogun or some other high-ranking official. This next neighborhood is home to the blacksmiths. Different crafts have higher or lower status, depending on the importance of the work. Potters and weavers tend to be ranked in about the middle. People who make sandals, floor mats (tatami) or other goods made of straw tend to have a lower status. 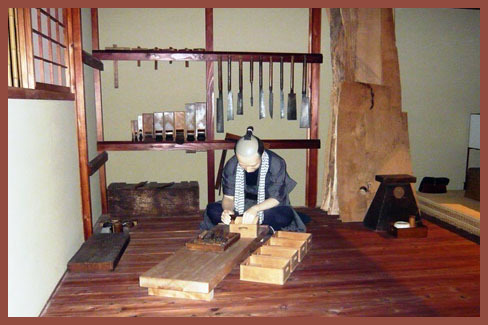 The crafts with the highest status are carpenters and smiths, since their skills are the most valuable to the Shogun. Blacksmiths make all sorts of useful items from steel, but the most important, of course, are the swords that they produce for the samurai. Those men over there are smelting steel in a large, open-air furnace. Production of a high-quality steel product, such as a sword, is a very painstaking job. First, the steel ingot must be produced by smelting iron. The iron is collected in large ingots, and stored in a warehouse until it is needed. When the time comes to produce a sword, the smith heats the ingot and breaks off a piece of the proper size. This is then heated repeatedly and beaten into shape using heavy hammers. The job often requires two people -- one to heat and hold the steel, and the other to swing the heavy hammer to beat it into shape. It takes a great deal of practice and skill to shape the sword just right. Finally, the blade is covered with a layer of clay to control the rate of cooling -- fast at the edge that will be used for cutting, and slower at the back of the shaft. Finally, the blade is plunged into cold water to cool it. Another group of craftsmen will fashion the decorated wooden handle and the scabbard. The result is one of the most beautiful and deadly of weapons -- a katana (long sword).
. tookooshi 陶工師 Tokoshi, potters of Edo . A craftsman of papermachee dolls had moved from Takamatsu. To please the many foreigners in Kobe he started making monster-like dolls which moved, rolled the eyes, cut watermelons and more.
. Koobe ningyoo, Kobe Ningyo 神戸人形 mechanical dolls from Kobe .